Your tax dollars at work: Brilliance in Homeland Security. James Robinson is a retired Air National Guard brigadier general and a commercial pilot for a major airline who flies passenger planes around the country…He has even been certified by the Transportation Security Administration to carry a weapon into the cockpit as part of the government’s defense program should a terrorist try to commandeer a plane. That means he can’t use an airport kiosk to check in; he can’t do it online; he can’t do it curbside. Instead, like thousands of Americans whose names match a name or alias used by a suspected terrorist on the list, he must go to the ticket counter and have an agent verify that he is James Robinson, the pilot, and not James Robinson, the terrorist. 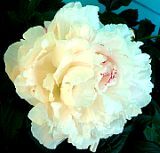 August 19, 2008 Posted by oldstersview | Dumb Bureaucrats	| Homeland security | Comments Off on Your tax dollars at work: Brilliance in Homeland Security. Reports of Chinese sports fans going to extremes to support the Olympics have been popping up in Chinese newspapers and websites since the start of the Games on August 8, making stunts like shaving five Olympic rings into your hair look tame. 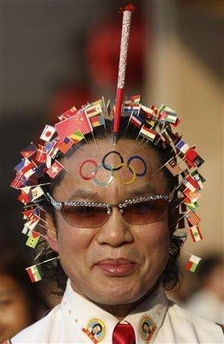 Wen Shengchu, 58, a doctor of traditional Chinese medicine, stuck 200 acupuncture pins bearing flags into his head. A Puerto Rican man has been granted his last wish – to remain standing, even after death. Special embalming treatment was used on the corpse of 24-year-old Angel Pantoja Medina to keep him on his feet for his three-day wake. Dressed in a Yankees baseball cap and sunglasses, Pantoja was mourned by relatives while propped upright in his mother’s living room. August 19, 2008 Posted by oldstersview | Strange	| standing body, wake | Comments Off on Stand up, dude! 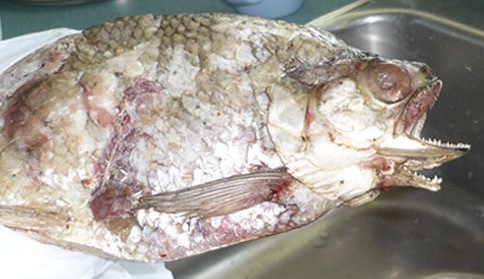 Days before a conference on water quality began in Fort Chipewyan, Alta., last week, residents say a strange fish with two mouths was found at the nearby lake. The deformed fish, which residents say children had caught off the dock at Lake Athabasca, has since been turned over to park wardens at Wood Buffalo National Park. Some residents, including officials from the Mikisew Cree First Nation, took photographs of the fish over the weekend. 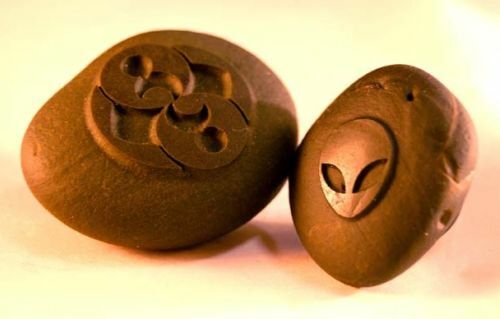 There was a lot of excitement recently in the “Woo-woo” community over a carved rock, found in the vicinity of Rozwell, New Mexico, that was deemed to be of extraterrestrial manufacture. According to one university geologist interviewed by Linda Howe, it would be impossible to carve it with any human tools. Why she chose a university geologist, and not a stone carver or artist, to ask that question is unclear. In any case there is an artist in the Pacific Northwest who begs to differ with the professor and has the rocks to prove his point. I am an artist in the Pacific NW who works with glass and occasionally stone. These are some examples of carvings I’ve done since seeing photos of the Roswell Rock. People who I show them to often respond – “but do they spin under a magnet?” The answer is yes. Most of my latest pieces have been carefully chosen for that purpose. There has to be a correct ratio between the weight of the rock and the pull of the magnet. Clockwise and counterclockwise rotation is all about shape – the ones that are too symmetrical have no interest in spinning, they are better off somewhat lopsided.